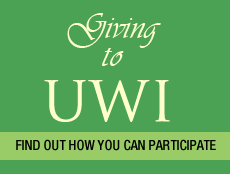 Mr. Robert Bermudez is the 6th Chancellor of The University of the West Indies. His seven-year term officially began on July 16, 2017. A national of Trinidad and Tobago, Mr. Bermudez has been an entrepreneur for over 40 years. He led the growth of his family-owned business, to a regional business throughout the Caribbean and Latin America and has enjoyed a distinguished career in business, serving as either Chairman or Board Director for several other corporate bodies in Trinidad and Tobago and the Caribbean. 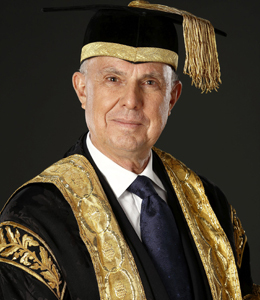 His vision for the University outlines a keen sense of the mission, effectiveness, relevance and interdependence of academia and the economy. Mr. Bermudez succeeds Sir George Alleyne who served as Chancellor for two consecutive seven-year terms since 2003. Former Chancellors include Her Royal Highness Princess Alice, Countess of Athlone (1948-1971); Sir Hugh Wooding (1971-1974); Sir Allen Montgomery Lewis (1975-1989); Sir Shridath Ramphal (1989-2003); and Sir George Alleyne (2003-2017).